The city of Jayapura also has the status of an autonomous city, equal to a regency. It was founded on 7 March 1910 as Hollandia and is the capital. Since Indonesian administration the name of the city has been changed to Kotabaru, then to Sukarnopura before its current name, Jayapura. Jayapura is also the largest city of Papua Province, with a small but active tourism industry. [clarification needed] It is built on a slope overlooking the bay. Cenderawasih University (UNCEN) campus at Abepura houses the University Museum where some of the Asmat artifacts collected by Michael Rockefeller is stored. Both Tanjung Ria beach, near the market at Hamadi – site of 22 April 1944 Allied invasion during World War II – and the site of General Douglas MacArthur's World War II headquarters at Ifar Gunung have monuments commemorating the events. 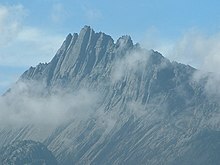 Wikimedia Commons has media related to Papua (province). This page was last edited on 22 April 2019, at 12:55 (UTC).